Disclosure: This post is sponsored by LG Electronics. One of the key technology areas relative to families is home technology. 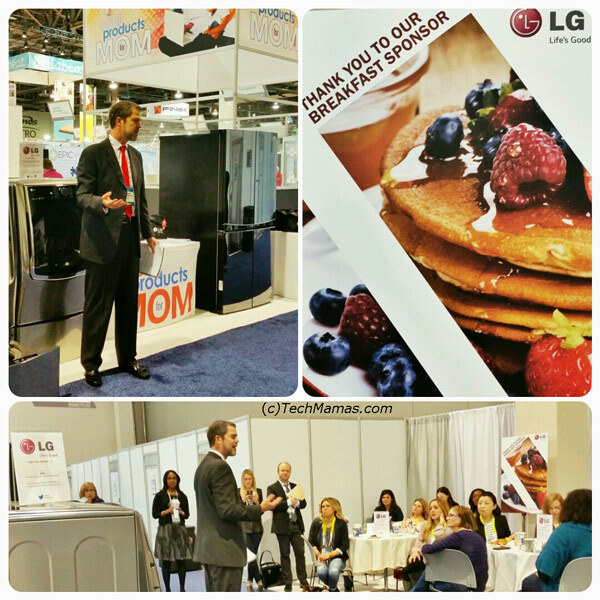 LG Electronics invited a group of journalists covering family tech to a breakfast at CES 2015 Family Tech Summit to discuss their new product announcements. When it comes to being a parent I appreciate technology that helps me manage my busy household. LG Electronics introduced updated and advanced versions of appliances that have unique features which offer great value to families. The first announcement is an update which would help save energy, maximize cold air conservation and make it very convenient for my three boys to reach food when they raid the fridge multiple times each day. 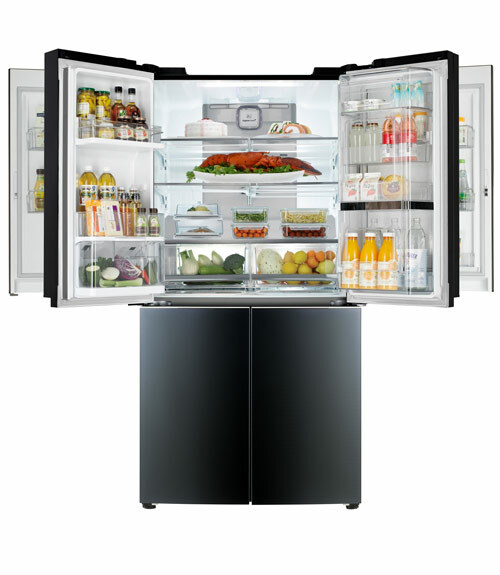 From the press release: “LG MEGA-CAPACITY DOUBLE DOOR-IN-DOOR REFRIGERATOR: LG is taking its award-winning “door-in-door” concept to the next level with the introduction of its new double Door-in-Door® mega-capacity refrigerator. With two independent Door-in-Door® compartments, this model offers the ultimate in convenience – better organization and easy access – while maximizing cold air conservation. The right Door-in-Door® is accessible from both the outside (with the push of a button) and from the inside, making it easy to load with often-used items like snacks, drinks, lunches and more. The left Door-in-Door® provides additional easy access storage space via a trigger on the bottom of the door. By using the Door-in-Door® feature on the new model, which is expected to be ENERGY STAR® certified. My husband and I do lots of loads of laundry each day. This new advancement would really help save time by enabling two loads of laundry to run simultaneously! The next announcement is home technology that would not only save time from my many trips to the dry cleaners, it would help freshen up clothes quicker then waiting to make it to the dry cleaner! 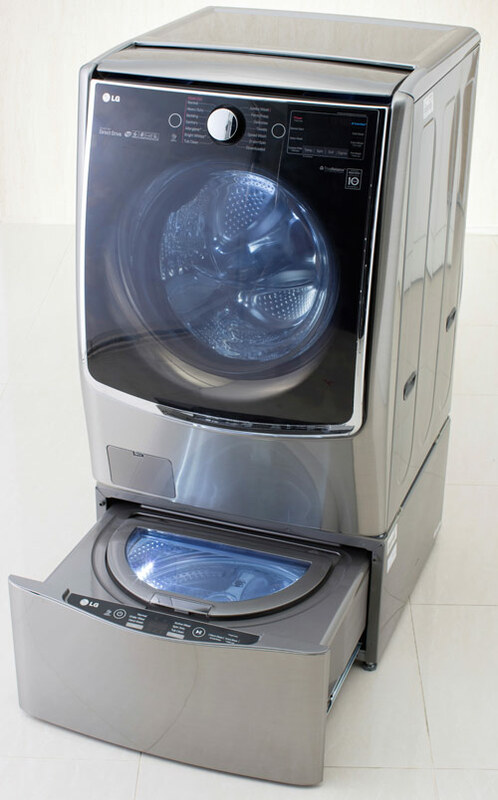 From the press release: “Equipped with a range of features not found on any washing machine, the latest LG Styler freshens up clothes and fabrics both quickly and conveniently. The LG Styler’s Odor Removal feature uses steam to help remove unpleasant odors left behind by smoke, food and sweat, and, depending on individual tastes, users can choose between two different aroma sheets that provide refreshing, subtle scents. The Quick Refresh function keeps clothes looking, feeling and smelling fresh, while Moving Hanger Action gently shakes steamed items to remove everyday wrinkles. The new LG Styler also features a built-in heat pump, which generates and maintains warm air at a low temperature to keep clothing from shrinking or being damaged while drying. What home technology are you excited about?